The Tampa Bay Partnership is a coalition of business leaders who work together to address the region's impactful challenges. The organization is a change-based group, focused on shaping the future of the Tampa Bay region and its counties. 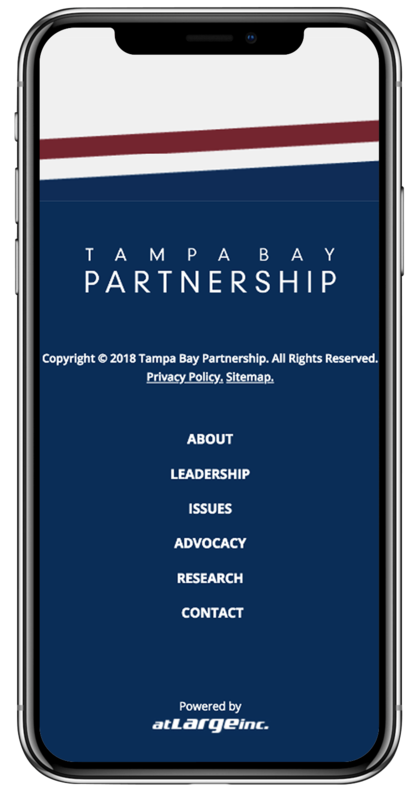 Our relationship with Tampa Bay Partnership started in 2007 when they approached ATLARGE to help them unify their story and establish their organization as a platform for instigating change. The organization’s online platform didn't digitally reflect the regional impact it encompassed, with eight websites representing eight regions, and nothing tying them together. 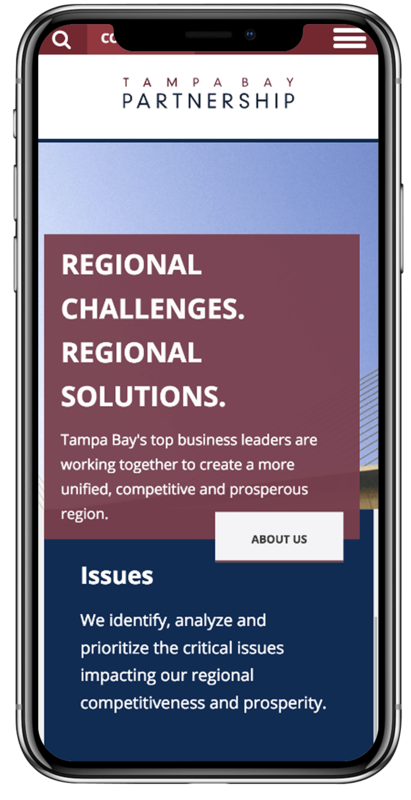 Our team helped align and bring together Tampa Bay Partnership’s digital presence to make it a platform that would become an organizational tool. 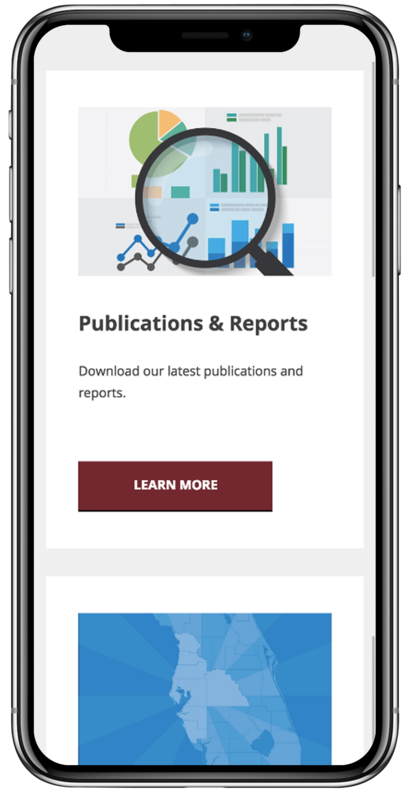 We wanted to unify, and clarify, the initiatives of the organization and demonstrate its importance in the Tampa Bay area while integrating an efficient, streamlined digital management platform. We created a splash page that would not only consolidate the independent sites but would also showcase the revived brand while cultivating the advance of future business initiatives. Showcasing the breadth of organization’s involvement and its dedication to driving change in the region became the foundation for our long-term relationship with the Tampa Bay Partnership. Since its inception, it has served as an umbrella across eight counties, representing them all equally. atLarge was able to consult, communicate effectively, and determine the organization’s needs based on the audiences they reached. We established a partnership with this regional coalition of influential business leaders and became trusted confidants of the organization.